If you are fortunate enough to be a regular visitor to UK airports then you will no doubt be rather familiar with customs officers. For the vast majority of us this is the only contact that we will have with them over the course of our lives, so before we get down to the nitty-gritty it would be wise to take a quick look at the role in a little more detail. What is a Customs Officer ? Well, the overall purpose of their job is help prevent the illegal importation of goods whose movement over the border is controlled and/or illegal. Some of these items include firearms, drugs, alcohol, tobacco as well as animals, plants and other organic material which may pose a threat to native UK species or the agricultural industry. Whilst most of us will be familiar with customs officers from seeing them as we pass through an airport, their work is not restricted solely to this environment. Indeed customs officers can be found working anywhere in which people and/or goods can gain legal entry to the UK including; ferry terminals, seaports and train stations offering international services. Whilst most of the work of a customs officer is carried out within international ports, there will also be occasions when you are required to got to court to testify as a witness to those who are being prosecuted. The hours of work will be dependent on the particular duties and responsibilities that your role requires and the environment in which you are working. 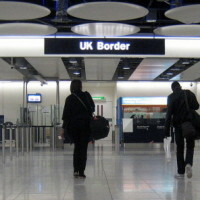 Full-time customs officers will normally work 36 hours a week, spread across 5 days (so a fairly standard working week) but those employed in border protection will be required to work shifts, including nights and weekends owing to the fact that these roles are required 24/7 every day of the year. 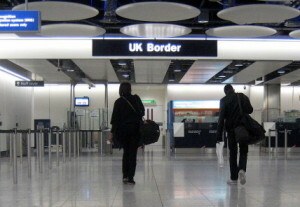 As customs officers are employed by HMRC (Her Majesty’s Revenue and Customs) or The UK Border Agency, both of which are government departments,the pay levels tend to be very uniform across the board, depending on the level experience that you hold. Assistant officers who are just beginning their career can expect to receive somewhere in the region of £15,000 per annum which will rise to around £22,000 once you have become fully trained. From there, as you continue to gain seniority within your particular work environment you could eventually see your salary rise to between £26,000 and £36,000 depending on the level of experience that you gain. As is the case with many public sector roles there are also a good level of additional allowances awarded for working unsociable hours such as nights and public holidays. If you are working within the London area, salaries will be slightly higher due to increased living costs. 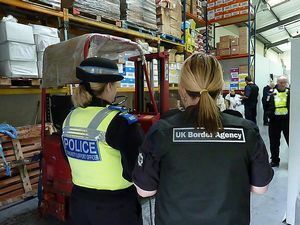 Many who work as a customs officer say that one of the best things about the role is that you never know what the day will bring – indeed the potential for interesting situations to arise is ever present (which accounts for the huge numbers of customs based documentaries which are produced all over the world). Carrying out drug detection tests on luggage and freight where you suspect the unlawful concealment of these products. Needless to say, with such a lengthy and comprehensive list of responsibilities, the role of a customs officer requires a person with a very specific set of skills and personal attributes. Training to become a customs officer takes place ‘on the job’. You will normally enter into the environment as an administrative assistant or (depending on your experience) an assistant officer. From each of these positions you will be able to work your way up to customs officer through relevant training and experience. You will usually need two GCSEs (A-C) to join HMRC/UK Border Agency as an administrative assistant, and five GCSEs (A-C) including maths and English to gain a position as an assistant officer. 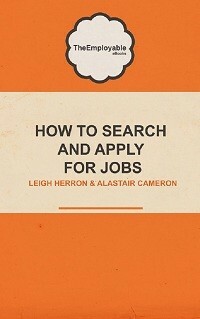 If however, you are lacking in these qualifications there are also tests which you can complete as part of the recruitment process to prove your suitability for the role. Please note however that the minimum expectations required for these roles is of course subject to change so we strongly suggest that you take yourself over to the HMRC or UK Border Agency websites for the latest information. If you still reckon that a life at the front line of the UK’s national borders is the one for you then good luck but if not, we are sure that you will find something to your tastes in our fab career directory.